Video games; Equipment and supplies. The Atari Video Computer System dominated the home video game market so completely that âAtariâ became the generic term for a video game console. The Atari VCS was affordable and offered the flexibility of changeable cartridges. Nearly a thousand of these were created, the most significant of which established new techniques, mechanics, and even entire genres. 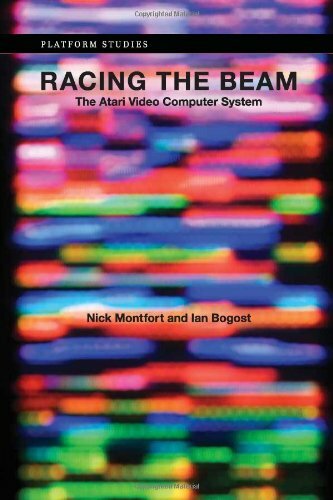 This book offers a detailed and accessible study of this influential video game console from both computational and cultural perspectives. Studies of digital media have rarely investigated platformsâthe systems underlying computing. This book (the first in a series of Platform Studies) does so, developing a critical approach that examines the relationship between platforms and creative expression. Nick Montfort and Ian Bogost discuss the Atari VCS itself and examine in detail six game cartridges: Combat, Adventure, Pac-Man, Yars' Revenge, Pitfall!, and Star Wars: The Empire Strikes Back. They describe the technical constraints and affordances of the system and track developments in programming, gameplay, interface, and aesthetics. Adventure, for example, was the first game to represent a virtual space larger than the screen (anticipating the boundless virtual spaces of such later games as World of Warcraft and Grand Theft Auto), by allowing the player to walk off one side into another space; and Star Wars: The Empire Strikes Back was an early instance of interaction between media properties and video games. Montfort and Bogost show that the Atari VCSâoften considered merely a retro fetish objectâis an essential part of the history of video games. About: A study of the relationship between platform and creative expression in the Atari VCS.